As the first spray in bedliner shop in the area and a Line X Master Distributor, we pride ourselves on providing the best products and services available. 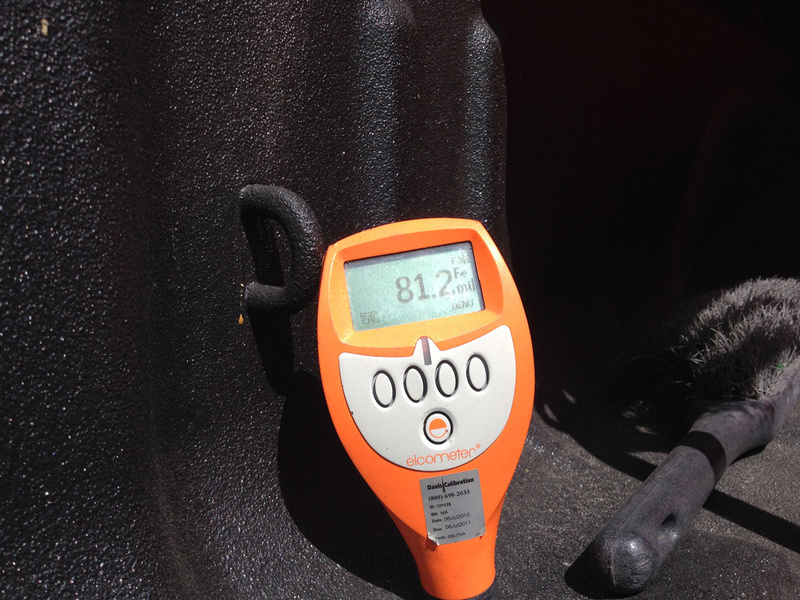 In mid 2005, we ranked in the top five most productive applicators in the nation, spraying up to 200 trucks per month. 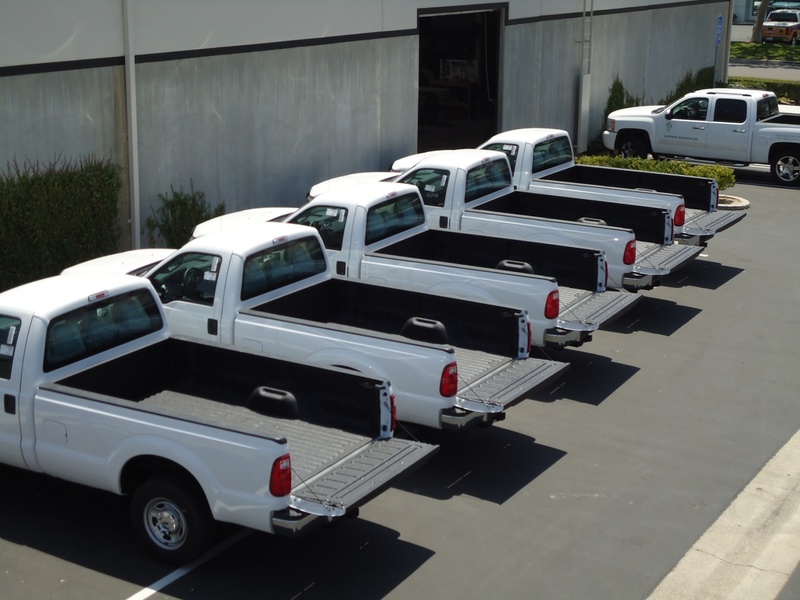 Due to the reduction in truck sales, and the number of bedliner shops in the area, as well as the rising cost of material imposes by greedy corporate executives, there became a price war amongst business owners. Many of the name brand bedliners shop started spraying bedliners much thinner in effort to maintain profitability. In 2009, as the recession went full swing, we moved away from Line X and now purchase material directly from the manufacturer. This move allows cost savings that we pass onto our customers. With our direct buy cost savings, we are able to maintain a fair price and our thickness standards. Our bedliner coating is applied at approximately 125 mils thick on the floor and thins out a little as it raps up the walls. As most of you know, preparation is the key to the application of any coating. 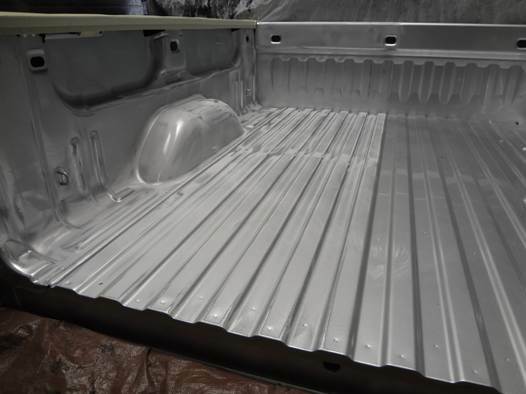 Bedliners Plus still sands and washes the beds of the truck prior to applying the material. This is very important. 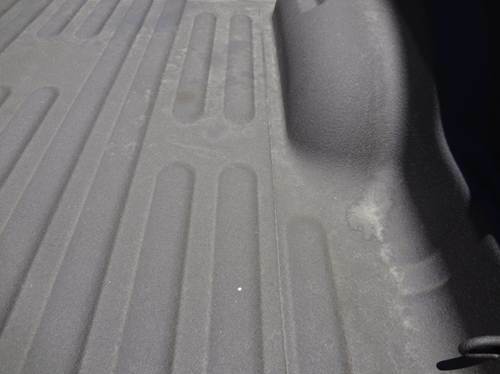 I know for a fact that many independent bedliner shops do not sand the truck bed. We’ve always removed the tie down hook and reinstalled them afterwards. We have been providing repair services to the body shops for almost twenty years. 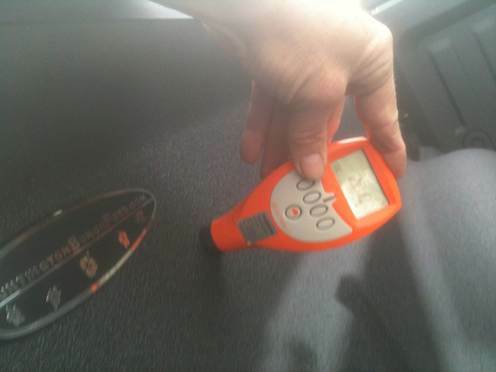 When we repair the bedliner we provide a life time warrantee for that repair. From what I know, we are the only shop to do so. 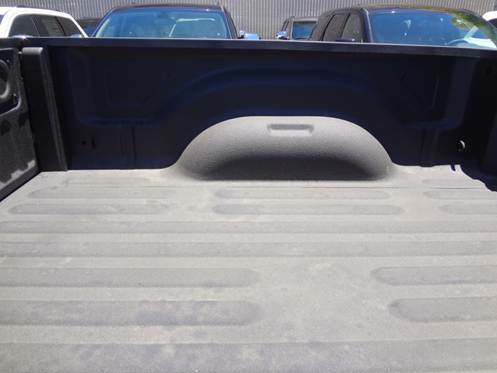 So if your truck gets into an accident, be sure to ask about repair warrantee for your bedliner. 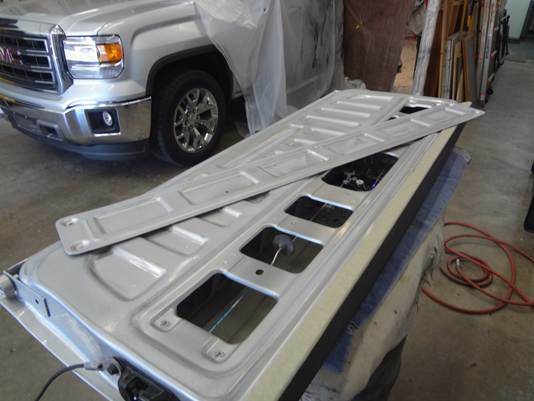 I also know that some of the OEM’s will wash and apply a coat of bonding clear primer instead of sanding the bed. Beware, we tried this years ago, and have seen the failures. 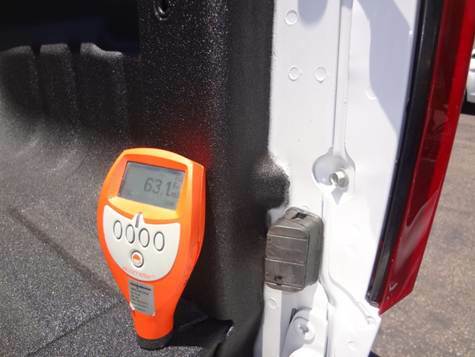 If the tail gate inspection plate comes off, we take it off and spray it separately. If you were to ever need to do any repair to the latch assemble, you will still have access. We were one of the first to use a special trim tape around the edges where the material meets the paint. The use of this product allows us to produce a crisp, straight well defined edge. 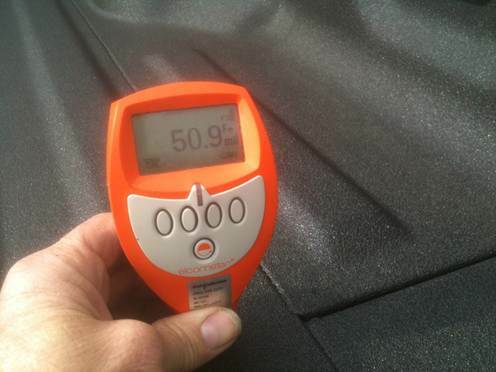 In 2003, we where the first to introduce a UV protective coating. “Endura Gloss” is the most affordable, UV protective top coat available. 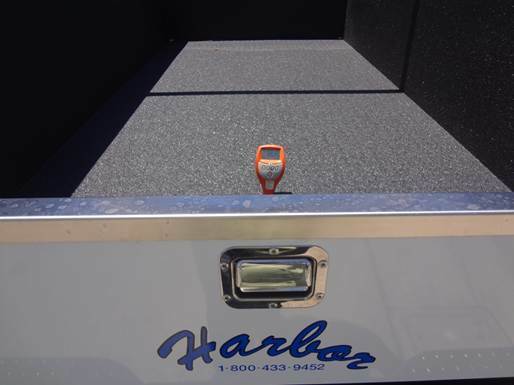 Endura Gloss is a time proven single component urethane coating that we pigment black. 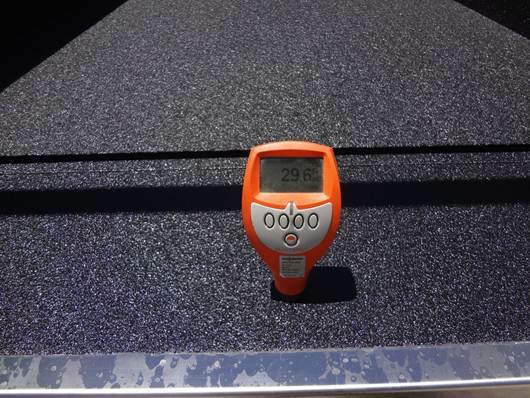 So not only do you get a richer blacker looking bedliners, but you also have the UV protection to help keep your bedliner from fading, staining and clean up easier. 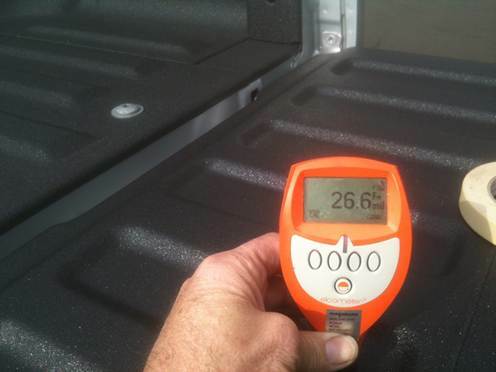 Over 90% of our customers choose “Endura Gloss”, when getting there truck bed sprayed. 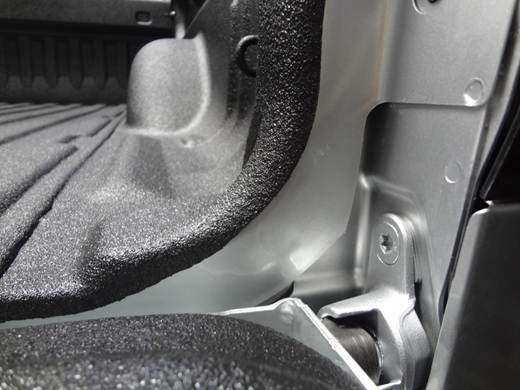 When comparing the liner sprayed by Ford Motor Corporation the first things you will notice are the seams in the floor are showing up through the material. This is primarily due to the thickness of the coating. When measured with a mil thickness gauge you will notice that the liner material has been applied just a little over 63 mils thick. If you look closely you will also notice that ford sprays over there tie down hooks. You will also notice that the perimeter edges where the material meets the paint are not a straight defined edge. Most likely they us a template that is just pressed up against the truck bed. Material has blow past the template leaving overspray all over the paint. 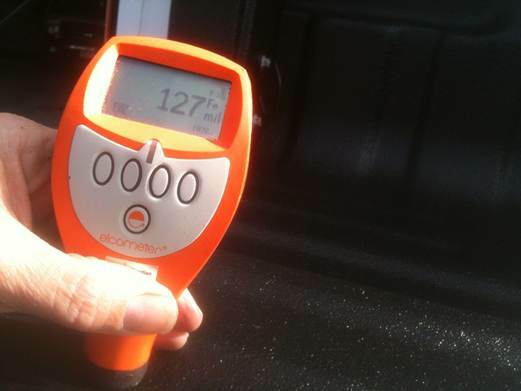 just a little less than 30 mls on the tail gate. 17 mils on the top rail. There are several Spray in bedliner shop that provides service to truck dealership. I’m not going to mention names, but be sure to ask who sprays there trucks and at what thickness. 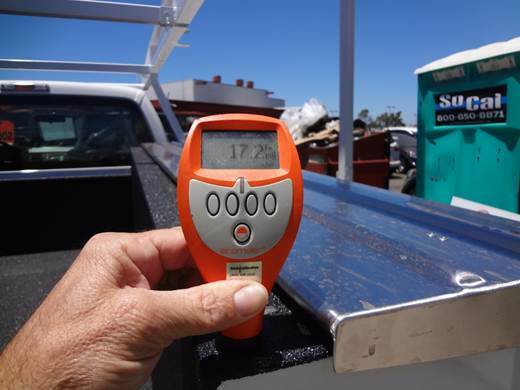 We will provide services for all the truck dealers in southern Orange County. If you would like us to do the work, just ask the dealership. The following picture is a truck from Huntington Beach Ford. Check out these thicknesses. Twenty mils on the side. and just a little over 50 mils on the floor. 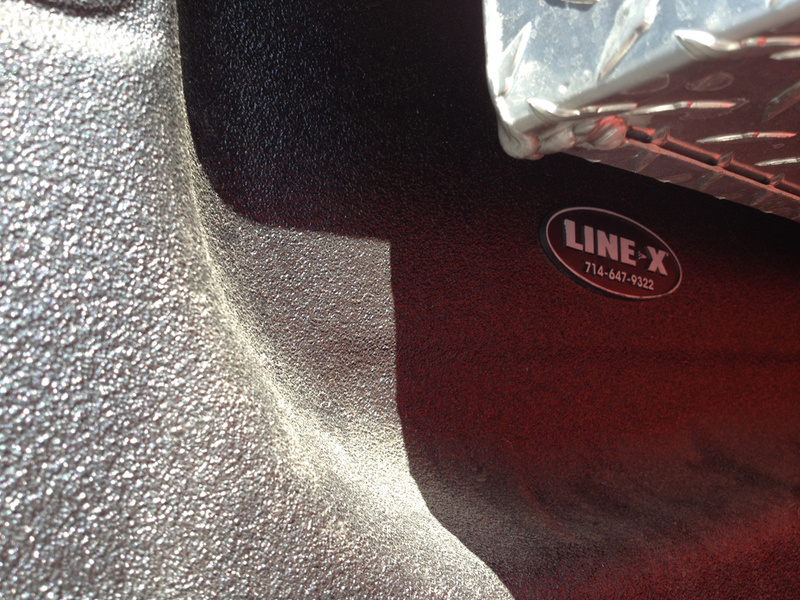 The next pictures are of a bedliner purchased through Tustin Buick GMC, applied by Line X in Santa Ana for the city of Mission Viejo. As you can see, the bedliner is barely over 80mls. 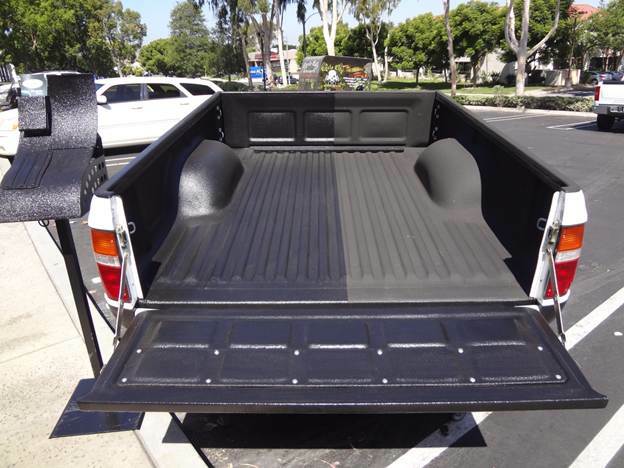 These are just a few examples of what is going on in the bedliner business. I am Steve Hillemann. We are the original Bedliners Plus. 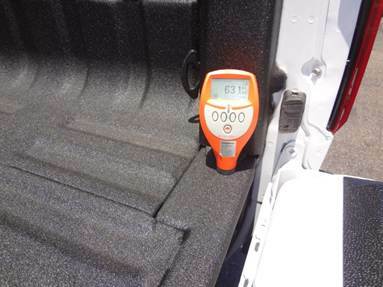 We were the first to bring spray in truck bedliners to Orange County. I will not except inferior workmanship and do not expect my customers to either.